Situated in the courtyard, between the altar and the tent, is a large bronze basin. This basin, or laver, is positioned in the hot desert sun on a stand. The basin and its stand are constructed of brilliantly reflective bronze that was once used in the hand mirrors of the women of Israel. Priests would wash various tools and offerings in the laver, but most importantly they would wash themselves. The Bible gives us no dimension to this particular part of the Tabernacle, but it must have been at a height were the priest could wash both their hands and feet. Washing in this highly reflective basin allowed the priest to see a clear picture of themselves as they scrubbed away the dirt and grime accumulated in their sacrificial practices and desert living. Not only does God’s grace allow us to be forgiven of our sin, but he also cleanses us from those elements in our lives that tend toward death. The cleansing process of God is not just the wiping away of one’s moral failings in an instant, but it is a purification of the heart, mind and whole being that occurs over a period of time. It is interesting to note that the priest of the Tabernacle needed to be cleansed on rather regular basis. I think it is helpful for us to think of the sanctification and repentance process in our lives, not as an endless gantlet of failure and shame, but the act if a loving father, teaching his children how to walk. This cleansing process of God is an extension of his goodness and kindness (Romans 2:4). In fact, God’s discipline and correction is a result of his great love (Hebrews 12:6, Proverbs 3:12). The process may be painful at times, but this important work of the Spirit is dislodging those things that keep us from rightly relating to God and one another. This work allows us to know him in greater measure. It also allows us to experience, in fullness, the life of a disciple without weight or entanglement (Hebrews 12:1). At some point in his reign, David decides that it is inappropriate for God to dwell in a mere tent, while he, the King of Israel, lived in an elaborate palace (2 Samuel 7). David sets his mind to making for God a more permanent and elegant home in his new capitol city, Jerusalem. David soon finds that God has a slightly different plan. The Lord allows David to design the new worship facility, but requires his son Solomon, “the man of peace,” to build it instead. The new temple is based on the overall foot print of the Tabernacle, only larger and more elaborate. 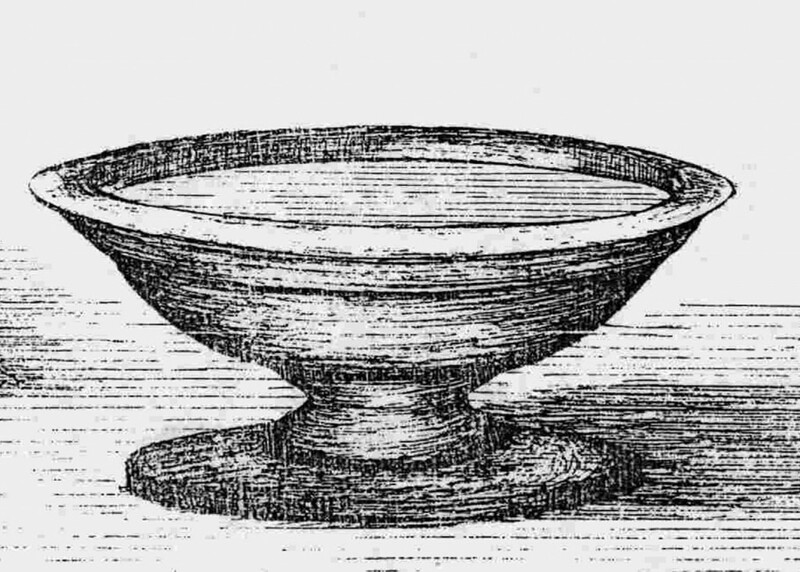 For example, in the Temple, the function of the laver is replaced by the larger “sea.” The sea was a brass basin about seven and a half feet high with a diameter of about fifteen feet. 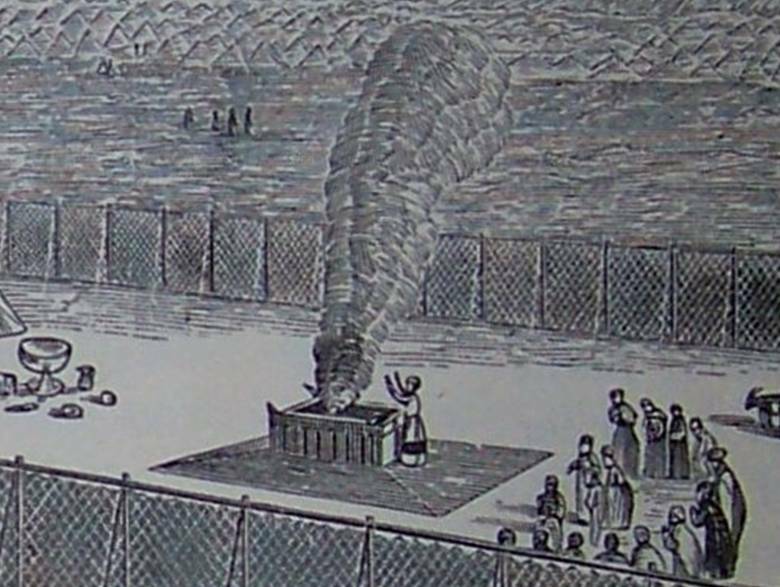 Multiple, smaller lavers were pushed around on carts to facilitate washing, but “the sea,” took on the function of the Tabernacle laver. Understanding this transition from the laver to the sea is important in spotting this element in later material. In Revelation 4:6, John describes what he sees in heaven, “In front of the throne was a shiny sea of glass, sparkling like crystal…” When many hear about the “crystal sea,” they imagine an actual ocean of glass. It is most likely that the sea John is speaking of is a glass or crystal basin, not a body of water. This understanding helps us to better visualize Revelation 15:2 as well. “I saw before me what seemed to be a glass sea mixed with fire. And on it stood all the people who had been victorious over the beast and his statue and the number representing his name. They were all holding harps that God had given them.” While its heavenly function may not seem completely clear from these two glimpses in Revelation, it does seem that there is a basin for purification in the Heaven. The cleansing work of God is wondrous. One of the most important distinctions to make in this process is the difference between condemnation and conviction. Paul tells us in Romans 8:1, “So now there is no condemnation for those who belong to Christ Jesus.” Yet, many followers of Jesus spend enormous amounts of time under heavy burdens of shame and regret. Many times, the faults and imperfections in our lives seem to scream out to us in demoralizing tones that leave us ashamed and immobilized. This is not the will or voice of our Heavenly Father. Condemnation is a voice that attributes worthlessness and shame to the whole person. It focuses on attacking the individual and wholly classifying them as “less than.” Conviction, on the other hand, is the grace inspired light that shines on a particular way of thinking or acting that is contrary to God’s will and nature. In other words, condemnation attacks the person. Conviction illuminates the sin or wrong way of being. Conviction is God’s loving invitation to acknowledge the truth and turn away form that particular harmful way of being. The work of God’s grace in our lives is not just about establishing our eternal home, but the transformation of our whole selves in this current life. Let us take a moment and ask the Holy Spirit to turn down the voices of condemnation and highlight one area of our life that needs some cleaning. Perhaps it is a habit, an attitude, an unforgiven offence, or something else. Then, simply agree with God that this particular thing is not good, true and right. You also must decide to turn away and not return to that unhealthy way of life. Sometimes these decisions need action. Perhaps you need to apologize to someone one or remove some things that led you down that path in the first place. Let he Holy Spirit guide you. The cleansing process can take time. Just as the priest washed on a continual basis, we too should be continually inviting God to cleanse, change and transform us into the sons and daughters we are called to be. As one entered the tabernacle complex, they would pass through a colorful tapestry that functioned as a gate to the outer court. As they emerged into the rectangular courtyard, the very first thing set before them would be a large square altar. The altar is about seven and a half feet long, about seven and a half feet wide, and about four and a half feet tall. It is made of wood and covered in bronze that shine in the desert sun. Built into each of the four corners of the altar are protruding horns. The altar also includes a grate that allows the offering of the Israelites to be incinerated before the Lord. The fire on this altar burns all the time. Its heat, glow, and aroma are present in the courtyard of the Tabernacle always. The Bronze Altar primarily illustrates the sacrificial death of Jesus. As Jesus approached the Jordan River, John the Baptist proclaimed, “Look! The Lamb of God who takes away the sin of the world!” (John 1:29). Jesus is referred to as a sacrificial lamb by Paul in 1 Corinthians 5:7 and by Peter in 1 Peter 1:19. Revelation is also full references to Jesus as the Lamb of God. Jesus was our sacrificial lamb who not only died for the forgiveness of a nation for a year, but for the entire world for all time. The first element one encounters in their faith journey is the sacrifice of the Son of God. It is by this sacrifice that those who believe gain access to God, find forgiveness, and are granted eternal life. As followers of Jesus, we are called not only to believe in who Jesus is and what he did, but we are also called to live lives that reflect that revelation. We too are called to give our lives. Unlike Jesus, our sacrifice is normally not physical, but a continual dying to oneself (Matthew 16:24). We are called to be “living sacrifices” (Romans 12:1). As unpleasant or unpopular as it may be, death is an essential part of Christian maturity. This is not a death for death sake, but a death that leads to new life. The altar is smelly, messy, and, many times, an unpleasant place to be, but it is the essential door that must be passed through in order to experience the life of a disciple of Jesus. We must truly offer up everything to be his disciple. A sacrificial altar appears a number of times in the prophetic writings of the Bible. Revelation 6:9 states, “…I saw under the altar the souls of all who had been martyred for the word of God and for being faithful in their testimony.” This altar is mentioned a number of other times in Revelation (8:3-5, 14:18, 16:7). In Isaiah’s heavenly call experience, he states that an angel took a coal from the altar and touched it to his lips (Isaiah 6:6). It is possible that this might have been the altar of incense (a part of the tabernacle we will speak about soon), but more than likely it would have been referring to a larger, sacrificial altar that produced a great deal of cinders and coal. The writer of the Book of Hebrews also mentions an altar apart from the one found in the earthy tabernacle. “We have an altar from which the priests in the Tabernacle have no right to eat” (Hebrews 13:10). There is certainly another altar beyond the one that served in the midst of Israel’s earthly worship locations. The sacrificial death of Jesus is central to our faith. Like many things, it can become so familiar, that we somehow lose sight of it. No matter how we have progressed in our journey with God, the revelation of the Cross of Jesus should never become too distant, too fuzzy, or too un-real. Has your vision for the cross become less than clear? I invite you to remember. Reading though John 19 and 20 might help. Not only is it essential we keep the fire of the revelation of the cross clear in our hearts and minds, but Jesus also invites us to personally pick up our own crosses daily. What area of our lives and ministries have we kept form the altar? What areas of our life are not given over to God? Ask God to reveal to you any area of your life that you have kept form the fire of his heavenly altar. If there is something, offer it up to God. 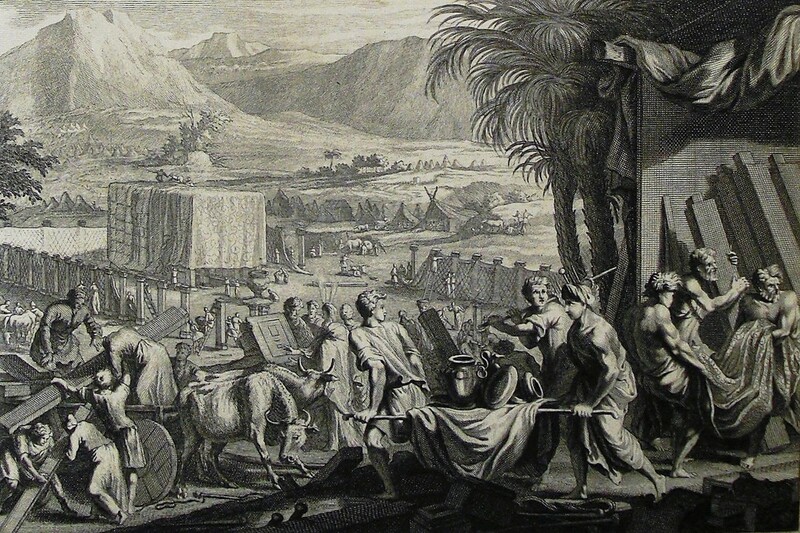 Around the mid-point of the Exodus narrative, we find that the Hebrew people have just been delivered from years of crushing labor and slavery under the hands of the Egyptians. They have watched God miraculously deliver them through the Red Sea and provide for them in the harsh and barren landscape of the wilderness, east of Egypt. God has also called Moses, their leader, to a mountain to work out the terms of their relationship. Moses is given rules on how this newly formed nation is to relate to one another and how they are to relate to God. Part of these “terms” included detailed instructions on the fabrication of a worship complex. This complex would include a rectangular fence made of wood posts and white linen walls. Inside this fence, would be a square, bronze altar for sacrificially burning animals, and a bronze laver or pool for the washing associated with the sacrificial service. Also, inside this fenced-in courtyard is a large, rectangular structure. The structure is made of portable wall units and completely covered with various tapestries and skins. This tent-like structure is divided into two rooms. The first room takes up two thirds of this tent, and contains a lamp, a table, and a small square altar. This area, named the “Holy Place,” is restricted to certain priests. The final third of the tent contains the Ark of the Covenant, a chest that is connected with the very presence of God. This last third of the tent is called the “Most Holy Place” or “Holy of Holies” and it is off limits to everyone, with the exception of the high priest, once a year. 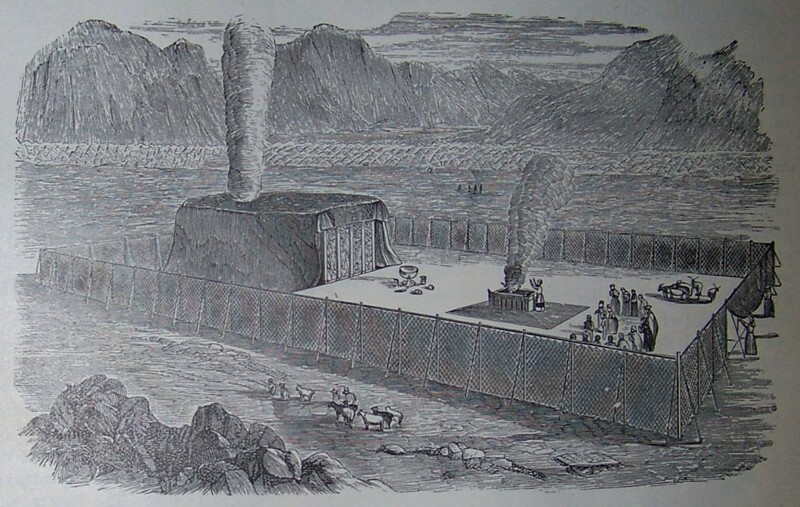 This worship complex, referred to as “the Tabernacle,” was the center of worship for the Hebrews as they journeyed through the wilderness on their way to the new home God had promised them. The majority of Tabernacle activity was found in the courtyard. Here, priests and Levites would be about the work of sacrificing animals. The light of the desert sun would shine upon the bronze altar and laver. The smell of smoke, blood, and burning flesh would permeate the area, and the sound of sloshing water could be heard as the priest washed themselves, their sacrifices, and their tools. Inside the tent was a very different environment. The walls and furniture were covered with hammered gold and the visible ceiling was a colorful tapestry, embroidered with heavenly beings. The only light inside the tent came from the flickering wicks of the lampstand. Fragrant incense would also be burning in the small altar in front of the veil that separates the Holy Place from the Holy of Holies. The haze of incense and the reflection of the flickering lampstand dancing off the various surfaces of gold, probably created an illusion of movement. The flickering light may have even made the cherubim on the ceiling look as if they were moving about the room. A large purple veil would have divided the tent into its two rooms. Behind the veil, in the inaccessible dark of the Holy of Holies, would have been the golden Ark of the Covenant, the very footstool of God’s Throne. The Tabernacle in the Desert was an awe inspiring environment. The smells, sights, and sounds would have created a permanent impression on those who worked and visited this temporal picture of the dwelling place of God. How much more awe inspiring are the spiritual and heavenly realities that are reflected in the Tabernacle in the Wilderness. 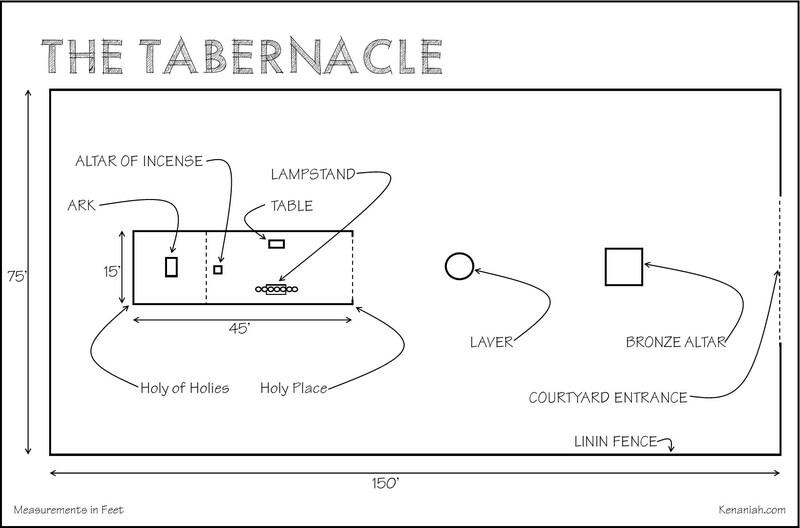 In the Following posts, we will explore the various elements of the Tabernacle to learn more about how they functioned, what they might represent and what glimpses they may give us of heavenly places.